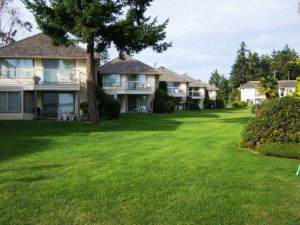 Ocean Sands Resort is situated on 4 acres of beautiful oceanfront property overlooking Rathtrevor Beach in Parksville. The resort consists of one and two bedroom oceanfront or poolside condominium units. 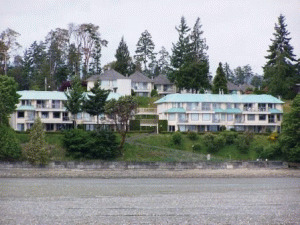 Each unit has a fully equipped kitchen, gas fireplace and large balcony either overlooking the ocean or pool. The amenities include a heated outdoor pool, playground, indoor hot tub, sauna and laundry facilities. Ocean Sands Resort is the ultimate vacation destination! 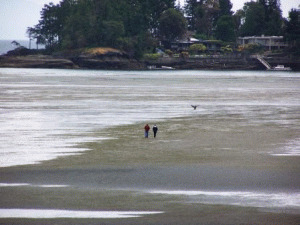 There are three miles of sandy beach right at your doorstep. There are a wide variety of activities to enjoy, including whale and wildlife viewing tours, hiking, mountain biking, horseback riding, caving, kayaking, scuba diving as well as many others. The resort is also within 30 minutes of six world-class golf courses. Please visit Ocean Sands Resort Website.